Great MPG: 23 MPG Hwy.. Move quickly!!! This reputable 3.6L V6 S will have you excited to drive to work, even on Mondays** New In Stock. This tip-top Vehicle, with its grippy AWD, will handle anything mother nature decides to throw at you!!! Other features include: Bluetooth, Power locks, Power windows, Auto, Air conditioning... For more information on this or any other Burlington VW vehicle go to www.burlingtonvw.com. You won't find a better SUV than this quality Volkswagen. Climb into this rock-hard 2019 Volkswagen Atlas 3.6L V6 S, and when you roll down the street, people will definitely take notice*** Does it all! Gas miser!!! 23 MPG Hwy. New Arrival.. All Wheel Drive, never get stuck again*** Other features include: Bluetooth, Power locks, Power windows, Auto, Air conditioning... For more information on this or any other Burlington VW vehicle go to www.burlingtonvw.com. Tired of the same dull drive? Well change up things with this healthy Atlas! This gas-saving 3.6L V6 S will get you where you need to go* All Wheel Drive!!!AWD... Here it is! 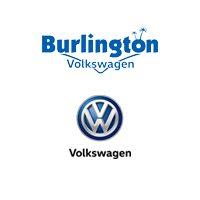 Optional equipment includes: Towing Package, Rubber Mats Kit - Bench Seats, Roadside Assistance Kit... For more information on this or any other Burlington VW vehicle go to www.burlingtonvw.com. Are you searching for a super value in a vehicle? Well, with this notable 3.6L V6 SE w/Technology, you are going to get it* Priced below MSRP!!! What a value*** Move quickly!! Need gas? I don't think so. At least not very much! 25 MPG Hwy!! Optional equipment includes: Rubber Mats Kit - Bench Seats, Luggage Net, Roadside Assistance Kit... For more information on this or any other Burlington VW vehicle go to www.burlingtonvw.com. This amazing Volkswagen is one of the most sought after vehicles on the market because it NEVER lets owners down... One of the best things about this 2019 Volkswagen Atlas 3.6L V6 SE is something you can't see, but you'll be thankful for it every time you pull up to the pump** Runs mint! All Wheel Drive!! !AWD*** New In Stock*** Optional equipment includes: 2nd-Row Dual Captain's Chairs, Towing Package, Remote Engine Start w/Remote Key Fob (1) (DISC), VW Care, Luggage Net, Combination Assistance Kit... For more information on this or any other Burlington VW vehicle go to www.burlingtonvw.com. Spotless!! This is the vehicle for you if you're looking to get great gas mileage on your way to work!!! This ready-for-anything SUV seeks the right match. All Wheel Drive!!!AWD. Other features include: Bluetooth, Power locks, Power windows, Heated seats, Auto... For more information on this or any other Burlington VW vehicle go to www.burlingtonvw.com. This superb 2019 Volkswagen Atlas 3.6L V6 SE w/Technology, with its grippy AWD, will handle anything mother nature decides to throw at you... This outstanding SUV is the family-friendly SUV you've been dreaming about* Dare to compare! Gets Great Gas Mileage: 23 MPG Hwy... Other features include: Bluetooth, Power locks, Power windows, Heated seats, Auto... For more information on this or any other Burlington VW vehicle go to www.burlingtonvw.com. This toy-hauling Vehicle, with its grippy AWD, will handle anything mother nature decides to throw at you... You've been thirsting for that one-time deal, and I think I've hit the nail on the head with this noteworthy 3.6L V6 SE w/Technology!!! Gassss saverrrr!!! 23 MPG Hwy!!! Look!! Look!! Look! Other features include: Bluetooth, Power locks, Power windows, Heated seats, Auto... For more information on this or any other Burlington VW vehicle go to www.burlingtonvw.com.